Produced at Wieden + Kennedy Portland. As part of the Old Spice "Make a Smellmitment" campaign, OS took over Sportscenter for 15 minutes. 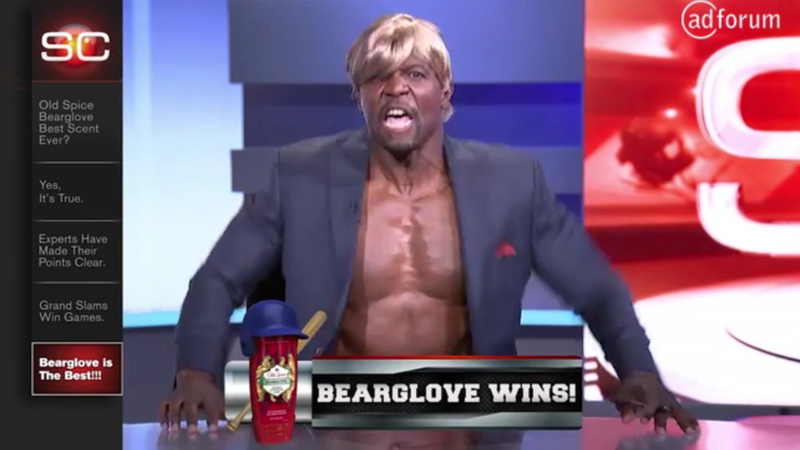 They cut from real sportscenter to fake sportscenter to Old Spice ads back to Sportscenter. Developed graphics to mimic the style of ESPN graphics but with an OS twist. Super Special Report Alpha Intro/Outro. Bathroom Break Intro, Mortis, Transitional element. Graphic Card battle between Terry and Isaiah. Short edit of all elements put together. You can watch the full video online.